Open edition box canvas. 66cm x 86.4cm. Comes ready to hang. 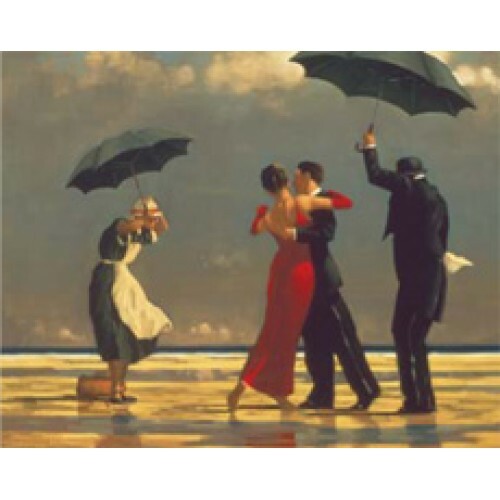 Jack Vettriano open edition giclee prints on premium quality canvas, which is stretched onto a pine stretcher with supporting cross-bars and hanging cord. The stretcher depth is: 1.25 inches/3.17cms.